We’re Ready. We’re Willing. We’re ABEL! Abel’s Marine was established in 1985 as a small privately owned marine engine repair shop, primarily serving Englewood, Florida. Since then we have expanded to serve all of southwest Florida. Although we’ve grown dramatically, we are still family owned and operated. This allows us to consistently provide the personal service that our customers have grown to love and appreciate. Our technicians are highly trained and qualified. It all starts with the owner, Tony Towns, who is one of only a few Honda Marine Master Certified Technicians in the United States. In order to become a Honda Marine Master Certified Technician he received 3 years of specialized training at the Honda Master Mechanic Institute. Prior to completing this training, Tony already had over 25 years of engine repair experience. 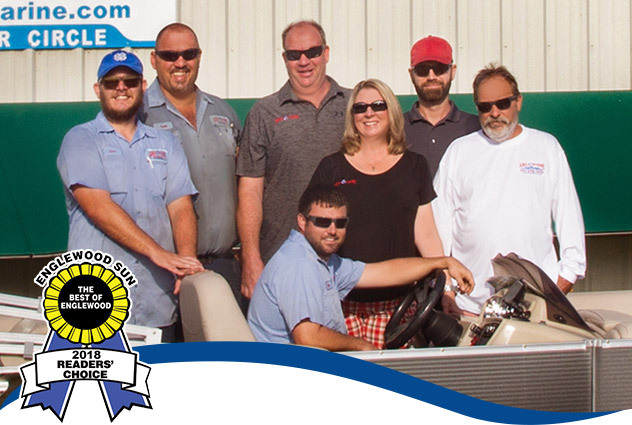 Tony also carries certificates from Johnson/Evinrude, Mercury and Yamaha and is the only Honda Marine Master Certified Technician in the State of Florida. Tony’s high level of expertise shows in the work he performs, and he holds all of Abel’s employees to the same standard. The company is privately owned by Tony and Katrina Towns and was purchased from the original owner in 2003.